Roberto C. Blanch has been a member of Siegfried Rivera since 2001 and concentrates his practice in community association law. He represents condominium and homeowners associations throughout Florida, handling a broad range of legal issues pertaining to the operation and management of community associations. Mr. Blanch handles all aspects of community association law including, but not limited to, covenant enforcement, interpretation of governing documents, vendor contract negotiation and drafting, amending governing documents, preparing for and attending board and membership meetings, elections and recalls, collections, fair housing issues, and insurance claims. He also assists associations who are undertaking the turnover process, guiding them on the hiring of experts and representing them in construction defect claims. Mr. Blanch is a member of the Southeast Florida Chapter of the Community Association Institute (CAI) and previously served as a Board of Director. 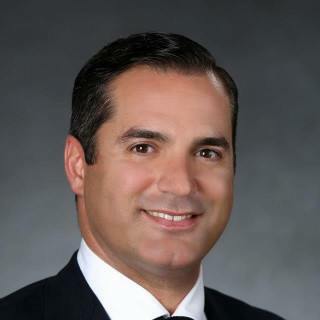 He is also a member of the Dade County Bar Association, Cuban American Bar Association and of the Real Property, Probate and Trust Law Section of The Florida Bar. Mr. Blanch is currently a member of the Saint Thomas University Law School Board of Advisors and serves on the Board of Directors of Mater Academy, Inc., a not-for-profit organization overseeing the operation of twenty-six charter schools in Miami-Dade County, Florida. Mr. Blanch also previously served as a member of the Board of Directors for the Spanish American League Against Discrimination. Mr. Blanch speaks regularly at State-approved board member certification courses and educational seminars pertaining to the establishment and operation of condominium and homeowner associations in Florida and authors articles pertaining to various issues affecting community associations.